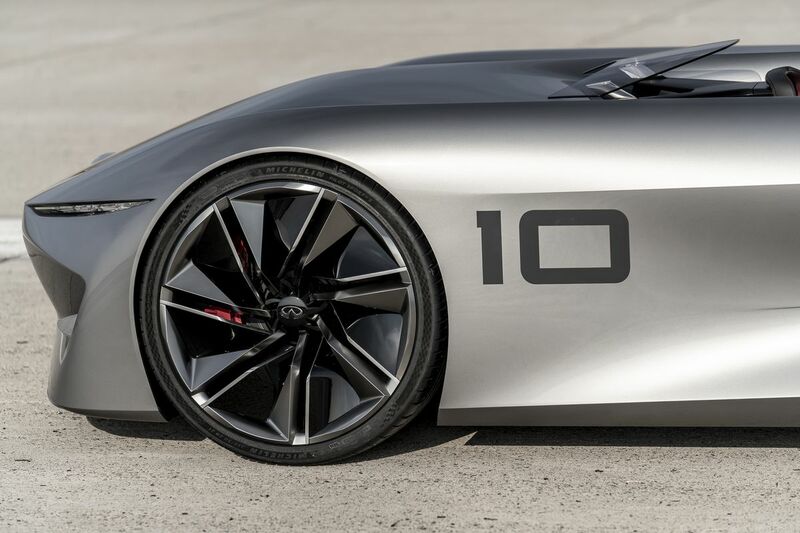 Infiniti’s new Concept 10 dips into the automotive greatest hits playbook. 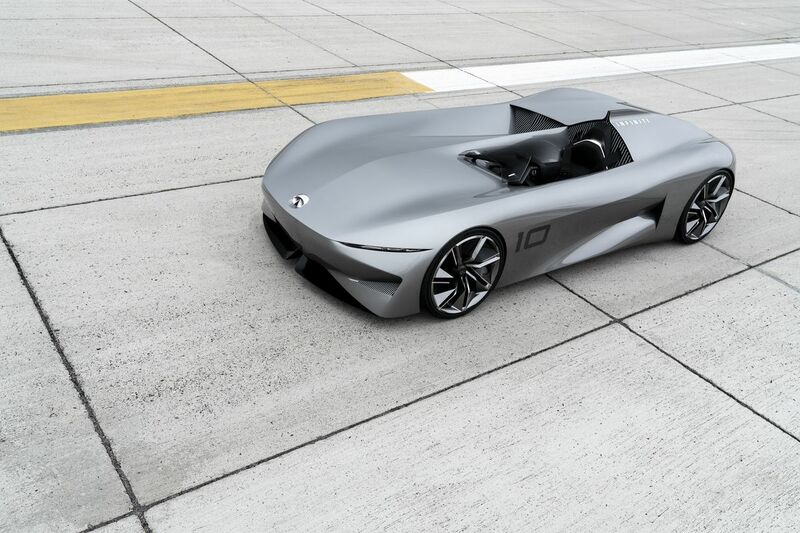 The single-seater sports car concept teases the way Infiniti will address electric luxury in our not-so-distant future. 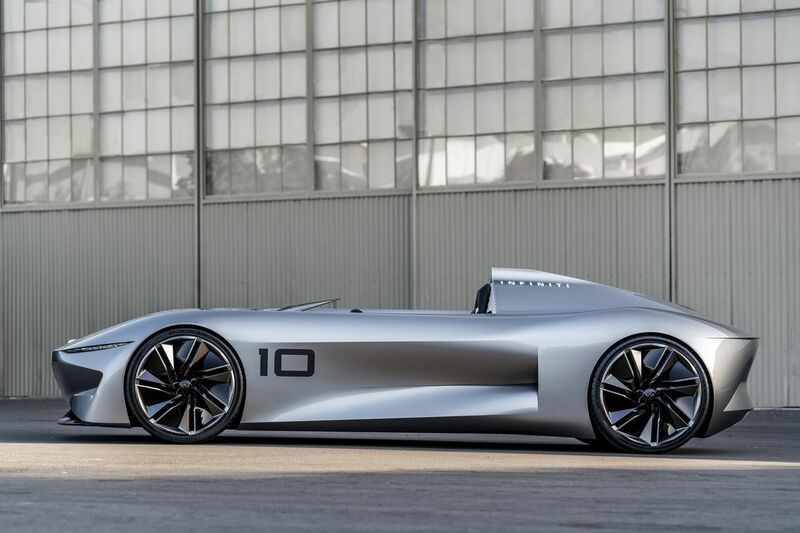 Introduced Friday during Monterey Car Week, where international car collectors gather to fawn over beloved classics, Infiniti is making a statement as it maps out its trajectory for new electric models set to debut in 2021. 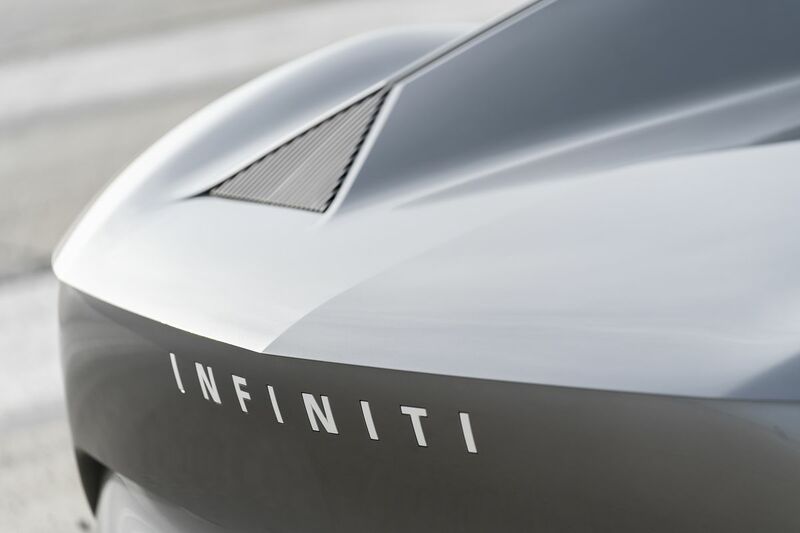 While Infiniti didn’t even exist in the in the 1960s, the cars from that era have left an impression on its contemporary designers. 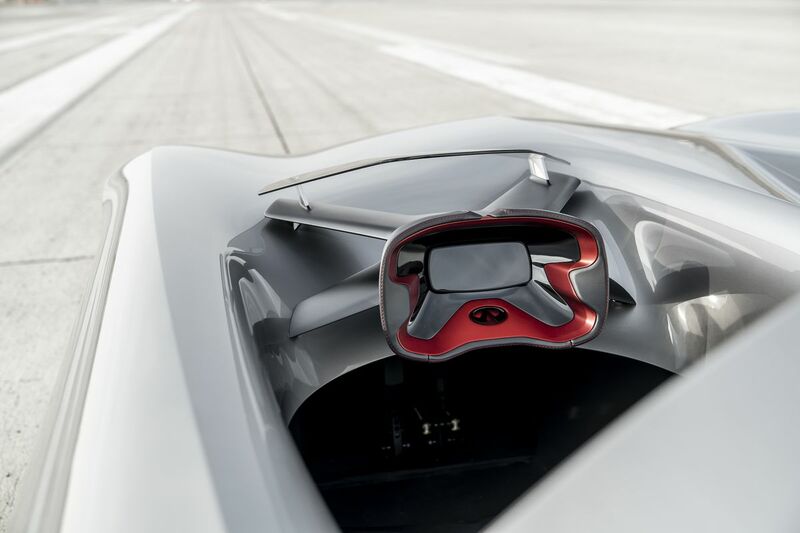 A look at the angled hood and sloping rear conjures up a 1960s era Alfa Romeo Spider Duetto, a car with a cult following. And then there are cues to the racing scene, where modifications were a symbol of the DIY inspiration celebrated by the grassroots motorsports that thrived in southern California. I see Star Trek on the asymmetrical tonneau cover that’s more of an abstract sculpture than a practical element. There’s nothing practical there — this concept is all about being dreamy. 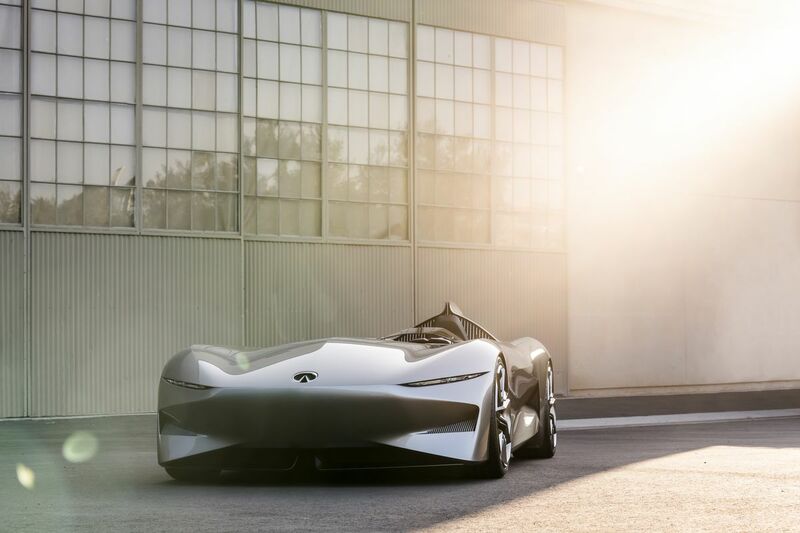 It’s a sunny, optimistic vision, in a car that confidently positions its driver out in the open air. 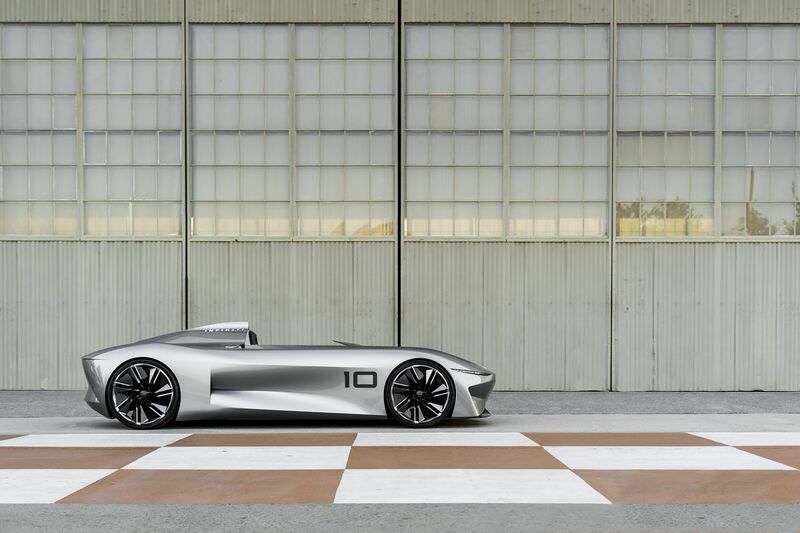 It’s the first complete vision shown by the Infiniti studios since Karim Habib, formerly of BMW, took the reigns as chief designer one year ago.